Within each of us—in our organizations and our communities—is a groundswell waiting to reveal itself and shape the future.We can harness this power. The icy waters of the Atlantic shaped me. They can be cold and unforgiving, and they can also be nurturing and teeming with life. 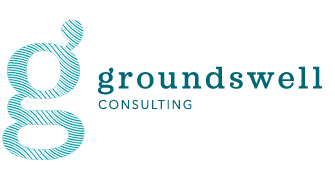 The inspiration for Groundswell Consulting came from watching storms move in year after year along the Maine Coast. The often glassy waters of Saco Bay would shift, swell, churn, crash hard on the sandy shores, then rush back to sea, the clear waters nearly opaque for all the debris surfaced by the power of the storm. All of the energy that drove that storm had a point or points of origin, paths traveled, and it came together in one unified and majestic event. Then, a return to harmony. The skies cleared. The sand shaped by the wind and tide took new form and the waves calmed. We believe in the power of collective impact. Just like the culminating forces and elements creating the unified majesty of the storm, our individual potentials can create so much more when compounded together than any one of us can ever achieve alone.